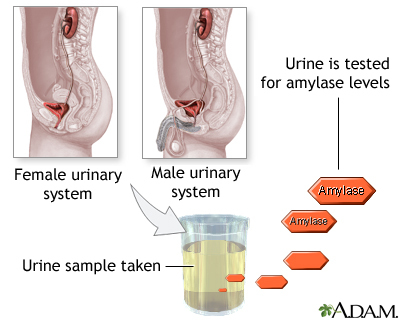 Amylase is an enzyme which helps digest glycogen and starch. It is produced mainly in the pancreas and salivary glands. Amylase is normally secreted from the pancreas through the pancreatic duct to the small intestines.